In today's digital age, a person's identity is classified by a username and password. With Gartner research predicting 26b connected devices in the world (6.5 devices per person) by 2020, what impact is that going to have on the identity of global citizens? 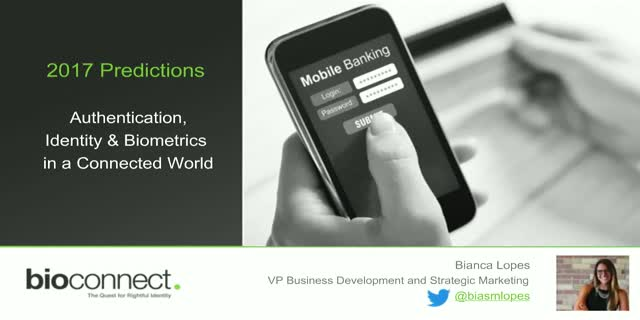 In this 30 minute webinar, Bianca Lopes will go over the impact that biometrics can have on the connected world focusing in particular on authentication. -What is biometrics - I’ve been told I need to learn about biometrics, what do I actually need to know?